Every house needs some Black Cat decor for Halloween! 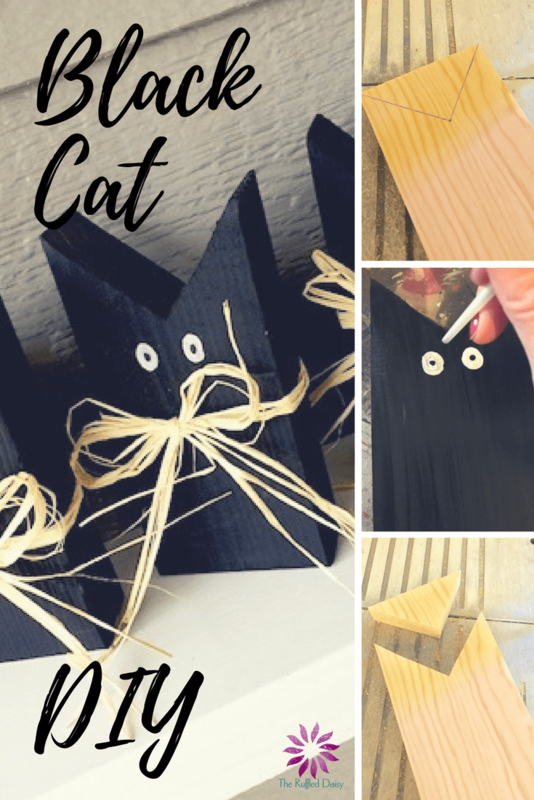 You can make these “scary” or “cute” AND they’re the perfect craft for the kids to help paint! 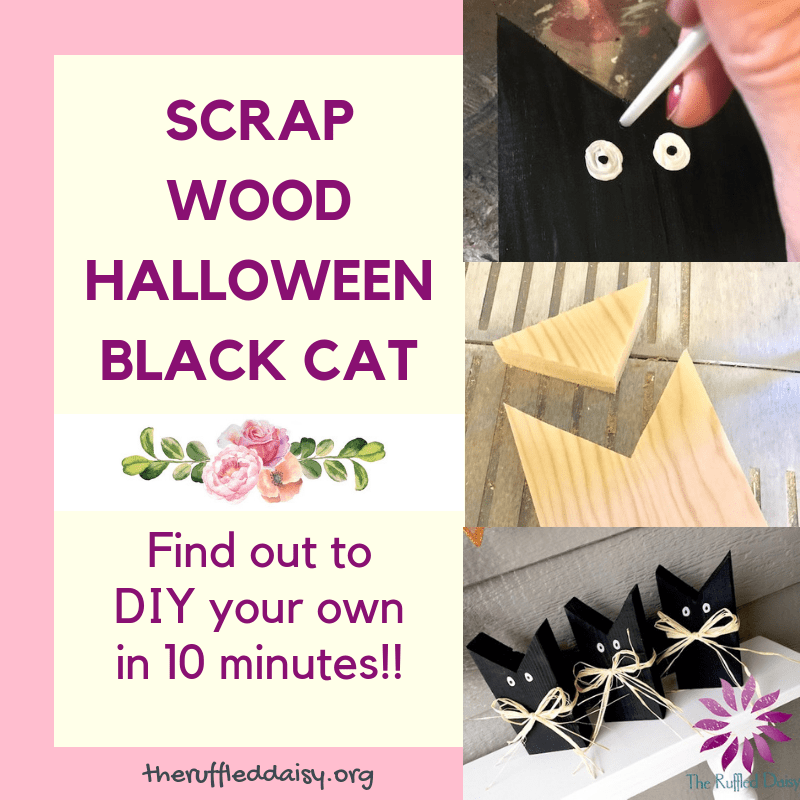 Here’s how you can make your own black cats with your kids! You need (1) 2×4 cut to about 8″ give or take. This is purely preference. You can also make a family of cats and cut them to varying heights. About 1.5″ down from the top mark the middle. Then take a ruler and make a line from the corner to the center mark. This is where you will use your scroll saw to cut the “ears”. Please make sure you wear safety goggles. This step is for the big kids (adults). Once cut and sanded, paint the entire piece black. THIS is my favorite black paint. This is the perfect step for little ones to complete. When the first coat is dry, make two small white ovals (and then black dots) for the “eyes”. If you have these googly eyes, you can use those too! Once all the paint is dry, tie on some raffia (or twine) and display! Since these are cut out of 2×4’s, they sit perfectly on just about any surface! If you want to display them on your porch, spray a coat of sealant over the top and you’re good to go! Place them around your house or group a family together. These black cats will enjoy setting out every year for Halloween! What have you created for Halloween? What is your favorite piece to decorate with this time of year? Crafts don’t get much easier than this one! I’d love for you to PIN the above image and share it with your friends! This Black Cat would be a GREAT project to work on at a Ladies Night with your girlfriends!